The front end on both cars are dominated by big openings, some of which let air in, while others don’t. In this respect (the amount of real estate dedicated to fake vents), they are actually very evenly matched - they both have fake vent panels in the area where you’d expect to see fog lights, but in terms of style they couldn’t be more different. Sure, this generation S3 does have some curves, but you could still sum up its front end as squared off and not very fussy. The A35’s front fascia has fewer creases and fewer sharp edges than the S3’s, and if you didn’t have another next to it for scale, you could confuse it for the CLS (even if this isn’t the A-Class’ four-door coupe's brother, the new CLA). Audis in recent memory have been accused of having oversized grilles that look ridiculous, but frankly, looking at the S3 dead on, its grille seems perfectly proportioned for its size. Of the two, it’s the A35 AMG that has the larger and more obvious grille, as well as the larger and more obvious brand logo displayed on it. The Mercedes also has active ducts to channel air from around the fake vent in the foglight area and out behind the bumper, and the Audi appears to have those too, but they don’t lead anywhere. Now if there is one exterior angle that will leave anybody in no doubt in regards to the fact that these two cars are direct rivals, that’s the side view. From the side, they have eerily similar overall proportions and what sets them apart are their more angular and curvaceous styles. And, the similarities continue. Both cars have very similar creases both in the upper and lower parts of the body (close to the car’s shoulder line and side skirt). The upper crease follows the shape of the car, and it shows the Audi is considerably more straight, while the Mercedes has considerably more tapering in its design. The rear crease is identical in terms of shape, placement, and purpose on both cars. In terms of the shape of their roof, we again can’t ignore the similarities, but if we showed you photos of them in black and white, you’d not know which one belongs to what car. 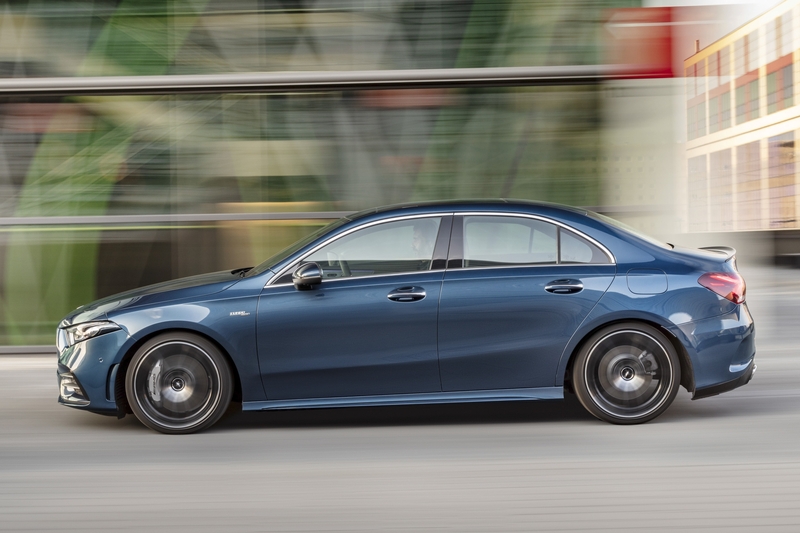 The Mercedes A35 sedan does look like it has the stubbier, perter rear end, though, and its ducktail trunk lid spoiler is bigger and more obvious too. And the rear window is different - the A35’s rear window includes the small quarterlight, so its window can go lower into the door and open wider, while the S3 has a single piece glass on the door and the quarterlight is part of the C-pillar. Overall, while I do think the S3 sedan is one of the better-looking sedans at any price, the A35 sedan might be even better; I think it might become my new favorite from the segment. 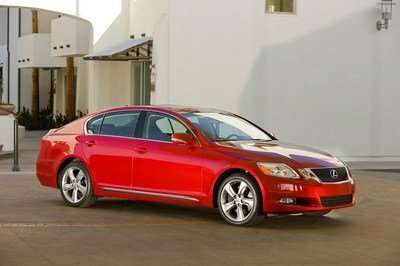 Believe it or not, the rear end designs of these two sedans are not really that different. Sure, the A35’s rear light clusters are bigger compared to the S3’s, but they are roughly the same shape and are placed pretty much in the same place. The Mercedes’ light clusters also curve around the corners of the car a lot more than the Audi’s do, and this wrap-around design goes very well with the more curvy aesthetic of the A35 sedan. The A35’s bumper is a bit more aggressive and sporty, although between its fake vertical vents on the sides and the scratch-prone glossy black plastic on the lower part of the bumper, I think it’s the S3’s more restrained (and lower maintenance) bumper that I think is the better design. Plus I prefer the Audi’s twin dual exhaust tips, as opposed to the Mercedes’ single tips surrounded by yet more plastic - the Audi's bumper is the more tasteful and aesthetically pleasing of the two for me. Of the two, the A35 sedan’s bulging rear wheel arches make it look a bit more planted than the S3 sedan, but the latter didn’t have a bad stance to begin with; even more credit to how the Mercedes’ rear end looks. There is a huge difference inside these cars, much greater than the difference between their exteriors. The Audi S3’s interior feels more old fashioned, more like that of an Audi from the early 2000s, even though it has a fully digital gauge cluster, a slick infotainment screen, and design details that, if you look closely, make it look very contemporary. On the other hand, the A35 feels like it’s a car from the near future that you can buy today. It has a similar twin-screen setup, similar round air vents, button placement, and overall layout, and yet it exudes such a different vibe compared to the S3 sedan. The Mercedes’ interior has far more dramatic shapes, it uses mood lighting to great effect, and it kind of makes rivals look like they’re from the last decade. 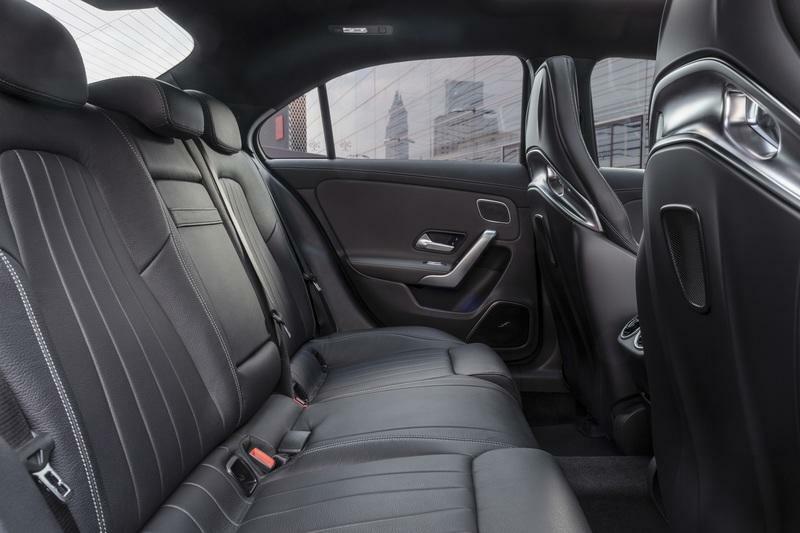 The Mercedes has two 10.25-inch screens, while the Audi has a bigger 12.3-inch screen for infotainment and another 7-inch screen atop the center console. The latter can actually retract into the dashboard when not required, and thus it makes the S3’s cabin feel a little less busy and cluttered compared to the A35’s. The A35’s interior is just dominated by the two big screens - in the Audi, your attention is drawn to the brilliant 12.3-inch digital gauges, but everything else is considerably more subtle than in the Mercedes. It’s also very hard to choose a favorite steering wheel; both the A35’s and S3’s are just great - they have the same design with two horizontal spokes and a double vertical spoke, a flat bottom, and nice, grippy, perforated leather on the part of the rim where your hands are supposed to go. The AMG wheel just looks that little bit more special and spectacular, as it’s essentially the same one Mercedes fits to all its AMG models, even those of the uber-expensive variety. In terms of ambiance, the Audi S3’s cabin definitely feels like a more relaxing place to travel, while in the Mercedes the more youthful design edges you to... act more youthfully yourself. With the floating screens, the excessive mood lighting (that’s even embedded into the center of all the turbine-style air vents,) and the more appealing steering wheel, the Mercedes just pips it as being the nicer place to sit. If you choose your cars based on whether or not you can wear tall hats in them, then you should know the S3 sedan has 1,006 mm of headroom in the front and 924 mm of headroom in the rear, while the A35 sedan has 1,024 mm of front headroom and 944 mm of rear headroom. 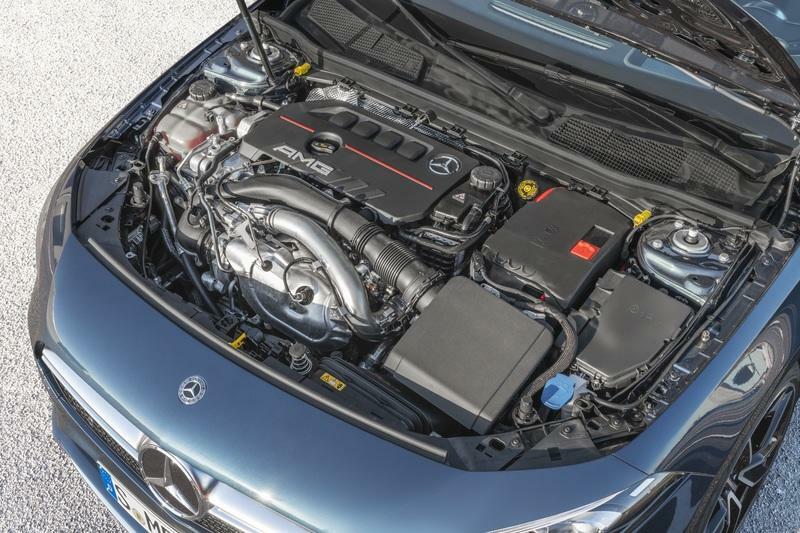 That puts the A-Class sedan ahead by a small margin, and on par with something like a Hyundai Elantra (1024 mm front headroom / 947 mm rear headroom). The Audi S3 sedan has a whisker less shoulder room inside than the Mercedes AMG A35 sedan; up front it’s 1,392 mm versus 1,400 mm, while in the rear it’s 1,372 mm versus 1,345 mm. 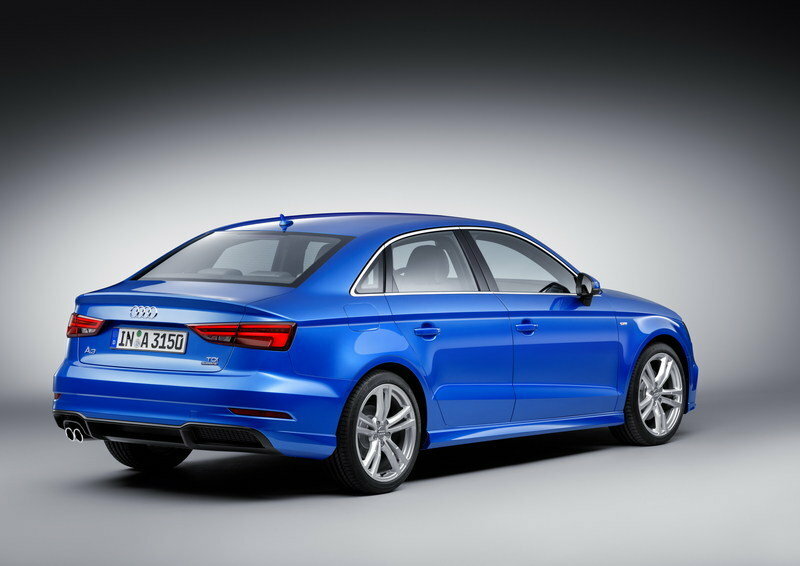 However, the S3 sedan has more rear legroom - 892 mm to the A35 sedan’s 861 mm. 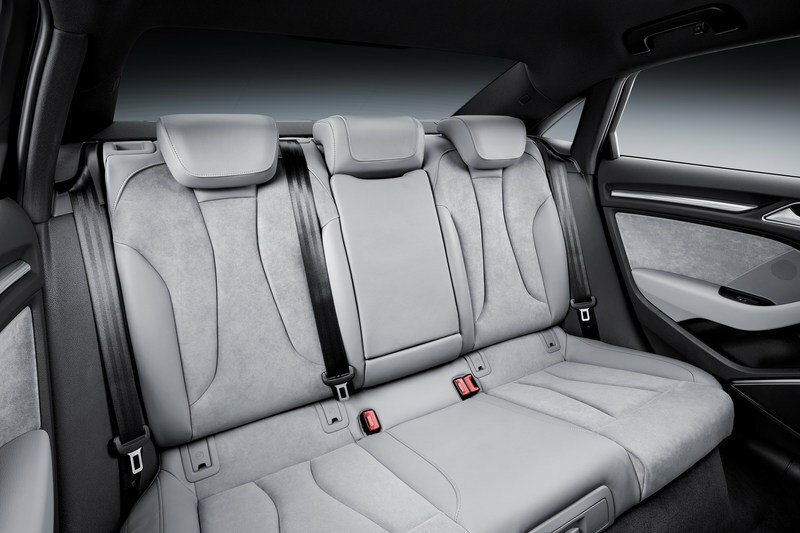 When it comes to carrying passengers, they are very evenly matched, although since the Audi has a bit more rear legroom, it has to be the better pick for carrying passengers (it also has a slightly larger trunk). 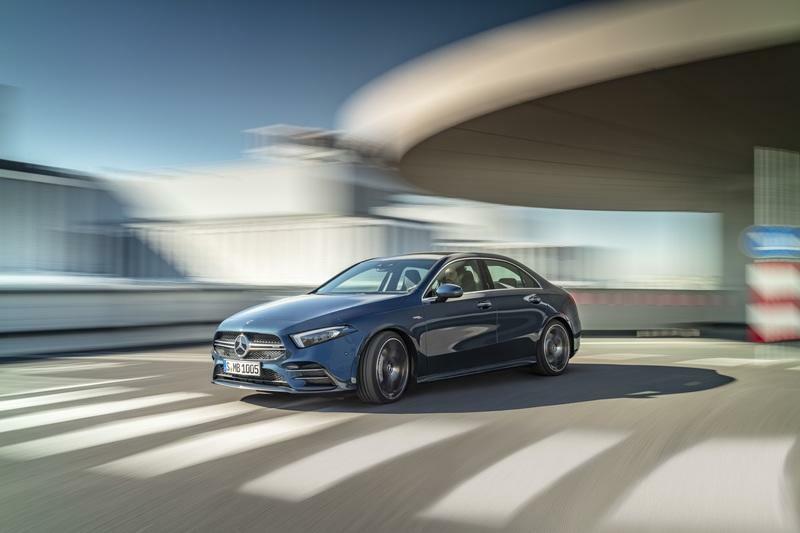 The AMG A35 sedan features Mercedes latest MBUX infotainment system that runs on a pair of 10.25-inch screens that you can also get in the C-Class and E-Class sedans, as well as other new Three Pointed Star offerings. MBUX does all the things you expect from a modern infotainment, it offers some customization of its interface, artificial intelligence that learns and adapts according to what the driver does, natural speech recognition, and three ways of interacting with it. You can either use the small clickable touchpads on the steering wheel, the controls mounted on the center stack, or just prodding the screen. The S3 sedan has a bigger digital gauge cluster displayed on a 12.3-inch TFT screen that probably just has the edge on the Mercedes when it comes to image quality and sharpness. However, its 7-inch center infotainment screen is smaller, but unlike the one in the A35, the Audi’s center screen silently (and elegantly) retracts into the dashboard when you don’t need it (or don’t want it to block part of your field of view). 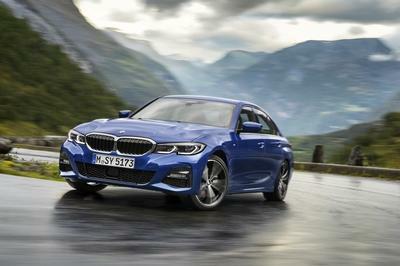 Both models have all possible connectivity options (including Apple CarPlay and Android Auto), as well as a full suite of standard and optional safety systems. They are very evenly matched in this respect, and you can’t really split them on tech - choosing one or the other will boil down to whichever you like the look of best and/or whichever delivers the most satisfying driving experience depending on your preference. Since these two cars are so similar in so many ways, you’d expect them to have very similar engines. And they do. 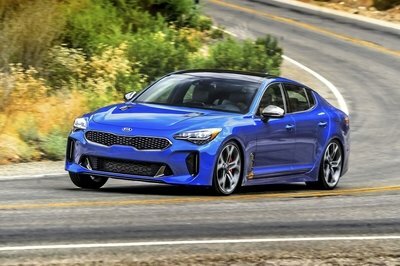 Both are 2.0-liter turbocharged four-cylinders with slightly different horsepower ratings, and both come with all-wheel drive as standard. 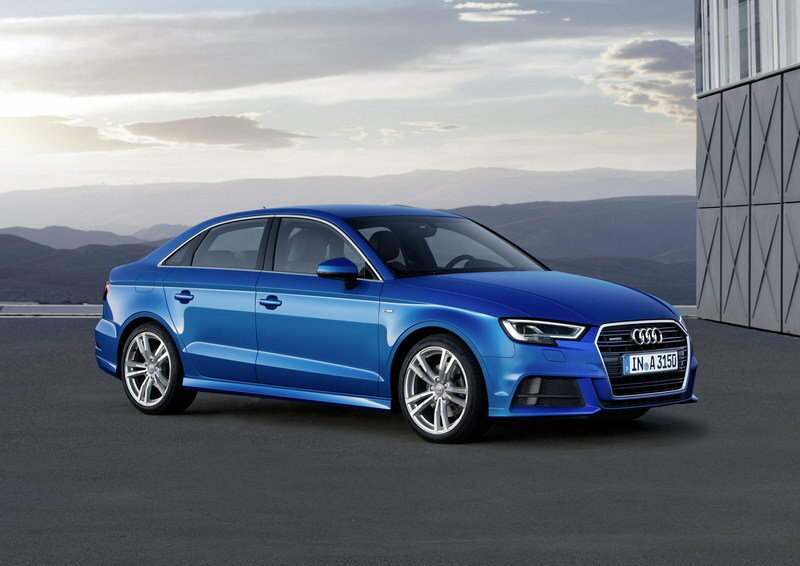 The Audi S3 Quattro’s engine makes 295 horsepower from 5,300 to 6,500 rpm and 295 pound-feet (400 Nm) of torque from 2,000 to 5,2000 rpm, but this torque figure is only this high for cars equipped with the manual six-speed transmission. Examples fitted with the seven-speed dual clutch loose 20 Nm, peaking at only 280 pound-feet (380 Nm ). 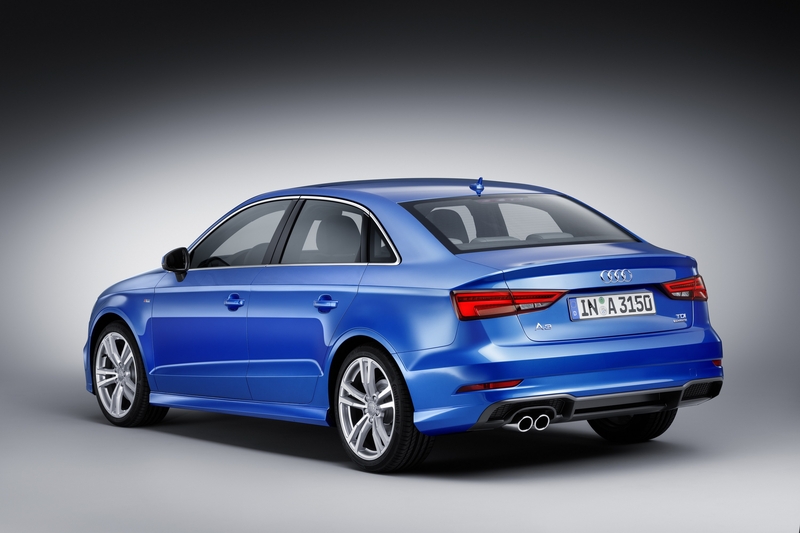 Audi claims the three-box S3 sprints to 100 km/h (62 mph) just over 5 seconds, and its top speed is 250 km/h or 155 mph. Even if cars equipped with the automatic lose a bit of torque, they are actually faster by nearly half a second; Audi claims a time of 4.7 seconds. 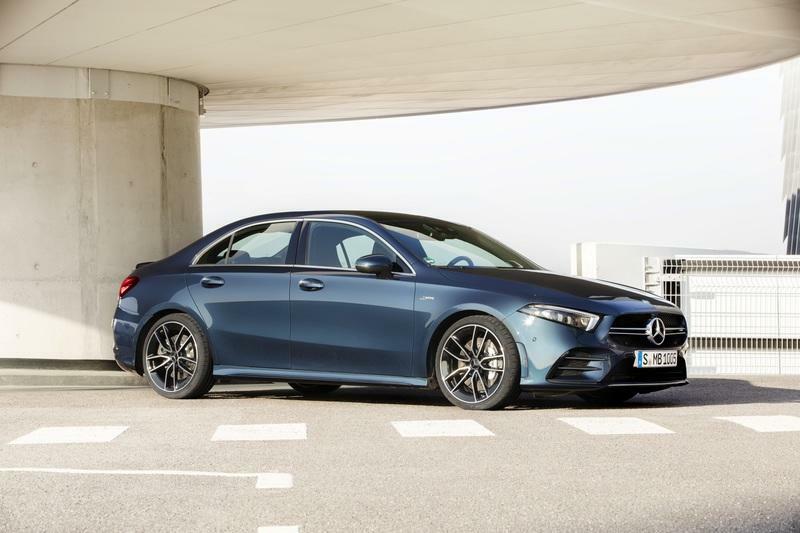 The Mercedes AMG A35 sedan posts nearly identical figures. 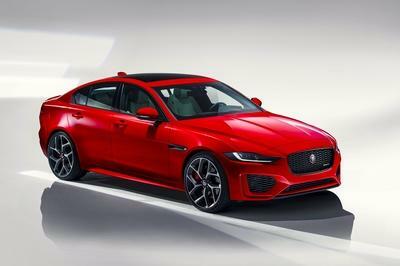 It brings 302 horsepower at 5,800 rpm to the table and a torque figure that’s exactly the same - 400 Nm (295 pound-feet), although the rpm at which it is delivered is slightly different - from 3,000 to 4,000 revs. 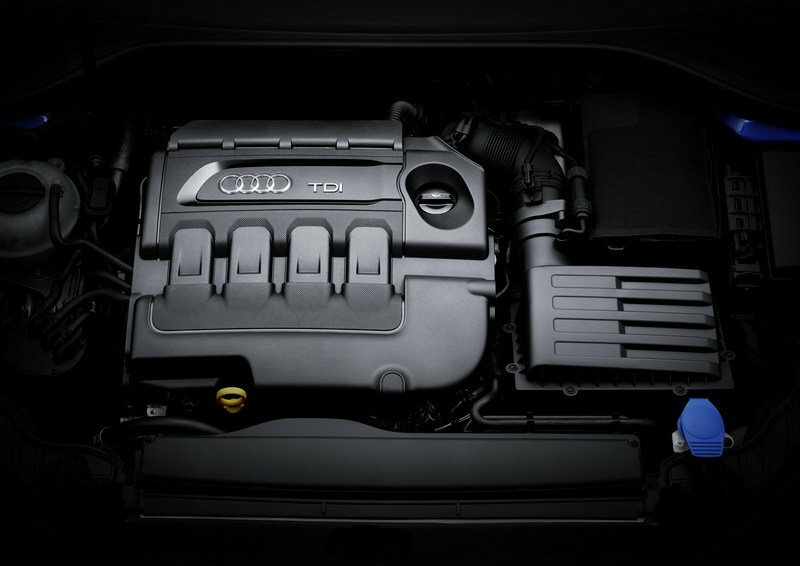 Unlike the S3 sedan, you can’t have the A35 sedan with a manual gearbox; the only transmission offered is a seven-speed dual clutch with steering wheel-mounted paddle shifters. 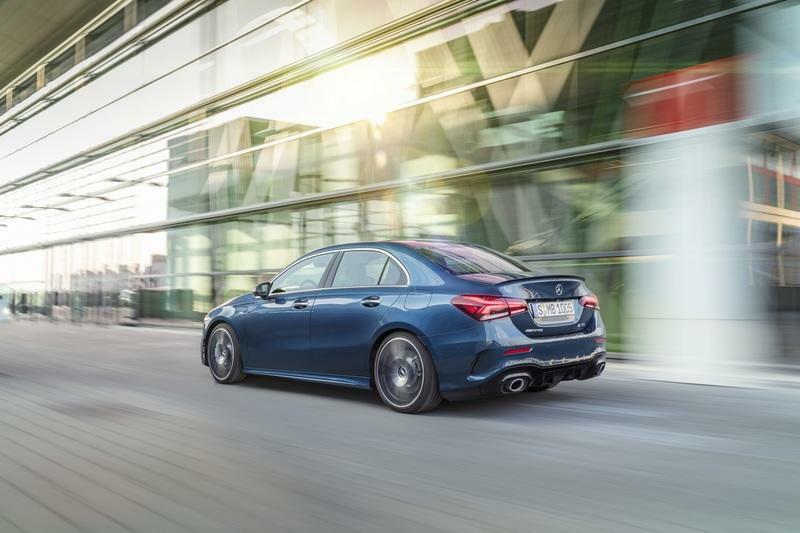 It too should be able to sprint to 100 km/h (62 mph) in no more than five seconds (the A35 AMG hatchback does the sprint in a claimed 4.7 seconds, and the sedan shouldn’t be far off). However, even though on paper they may seem identical, if you put both cars (equipped with automatic gearboxes) on a drag strip to see if there’s anything in it, there apparently really is. In comparative acceleration tests of the hatchback version of both cars, the Audi always seem to just soar ahead of the Mercedes, even though there’s hardly anything in it when it comes to specs. In the corners, the Audi S3 is known to not be the friskiest and most adjustable all-wheel-drive hot hatch around. It tends to understeer a bit and, while it’s really quick off the line and going straight, it’s not the most fun thing to throw around - the cheaper and mechanically related VW Golf R is inexplicably more fun. And so is the A35 sedan, with better and more communicative steering and a more wayward character in the corners - it handles like you expect an AMG to and you can play with it more than you can with the S3 sedan; to that end, it’s closer in its character to a Ford Focus RS. 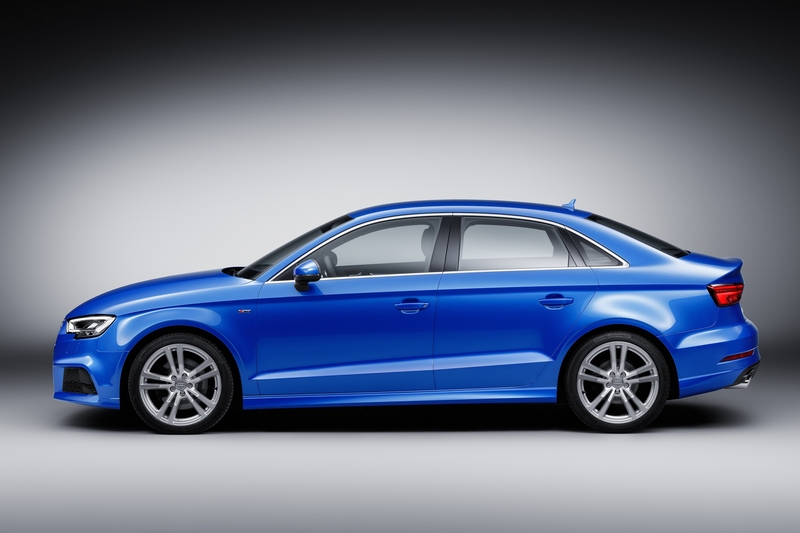 While the Audi S3 is an established name in the compact performance car segment, the S3 sedan is a relative newcomer. 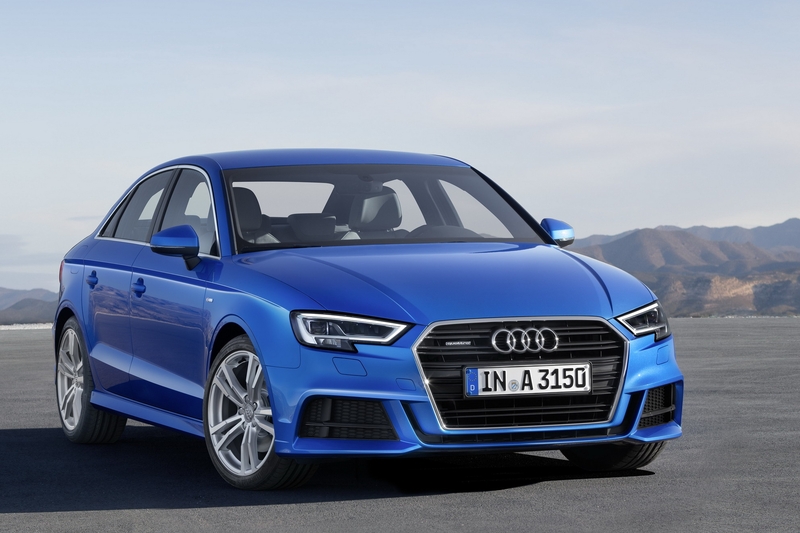 But the fact that the S3 nameplate has been around since 1999 means people are more familiar with it and, to many buyers, it might seem like the safer purchase compared to the complete newcomer that is the A35 sedan. Both cars are somewhat different answers to the same question, and which one you go for is up to you. The Mercedes is more fun to drive, has slightly better handling (and a more modern, more interesting interior), while the Audi feels more mature, grown up and refined, but at the same time, it will out-accelerate its new arch rival. Turning up anywhere in the Mercedes is also more of a statement since its exterior styling is considerably more noticeable than the Audi’s. In fact, you pick the S3 sedan if you just want to go fast and not really stand out or get noticed all that much (only car guys will know your car is a more special S3 and not a regular A3 with some sporty bits stuck to it). The A35, on the other hand, will get you noticed, and it just looks like something more special and unique - people don’t really know the shape so, even if they don’t care about it being a performance model, they will care about the novelty factor. When it comes to how you feel inside the two cars (a big decision making factor for many buyers, I’m sure), there is really no contest between them. Sure, the Audi might have some better materials than the Mercedes, but its design feels nowhere near as fresh and modern. You can’t split them on interior space, though, as both offer nearly identical levels of passenger room and cargo capacity. 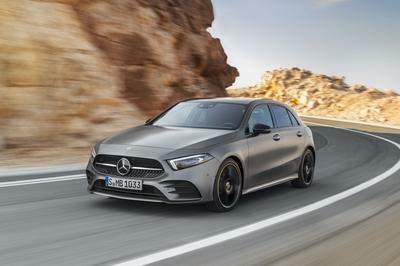 In the end, the fact that the AMG A35 sedan is a new car and will undoubtedly attract more attention in its direction. And, once people see its interior, they may instantly fall in love with its style and end up completely ignoring the much more mature looking S3 sedan (which is also faster in a straight line as per drag races conducted by serious automotive journos). 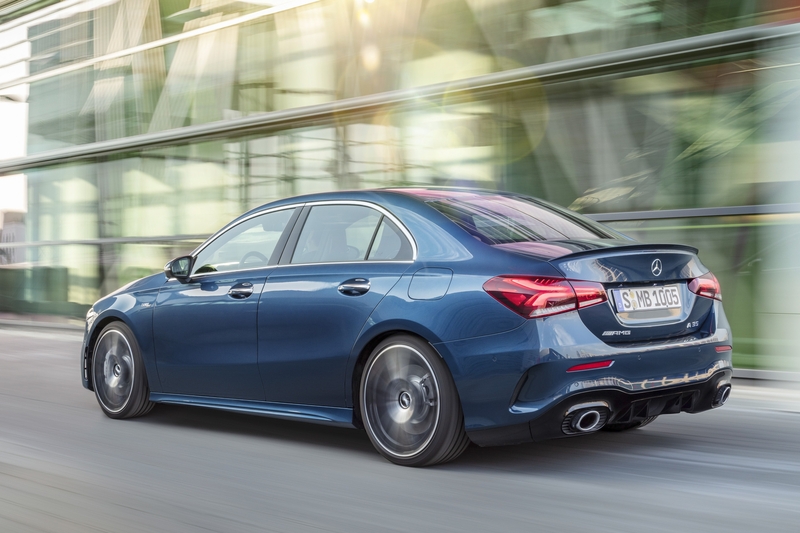 People may even be willing to pay a premium just to have a piece of this new A35 sedan action, especially since it’s going to be the only flavor of Mercedes AMG A35 available in the US (so all eyes will be on it, not the hatchback that won’t make it over the Pond). 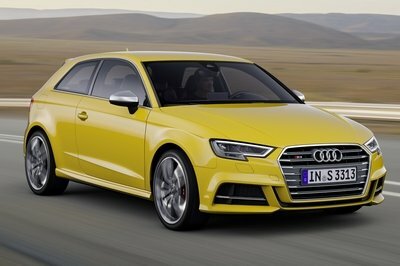 So, even if the Audi S3 sedan is just a bit faster than the Mercedes A35 sedan in the real world and has slightly better materials inside in the end won’t really matter because the Mercedes has much more wow factor, and for the money it’s certainly a lot more than what the forgettable looking S3 can muster. 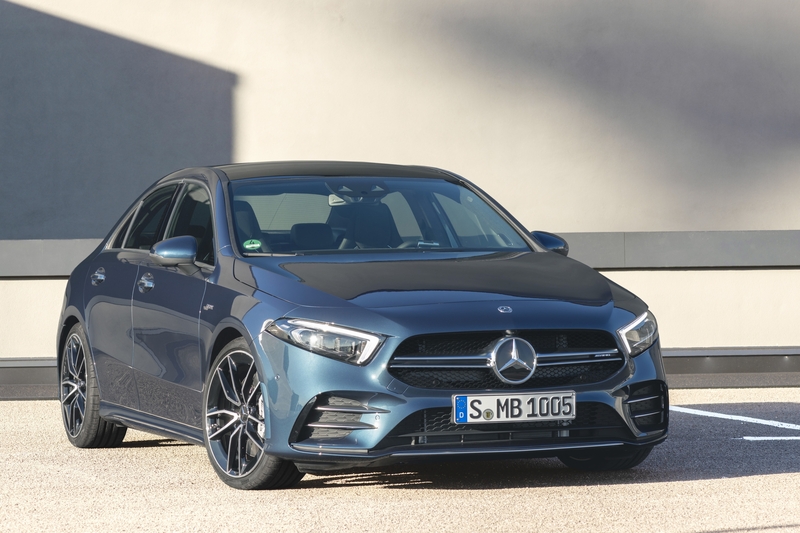 Read our full review on the 2019 Mercedes-AMG A35 Sedan. Read our full review on the 2019 Audi S3 sedan.